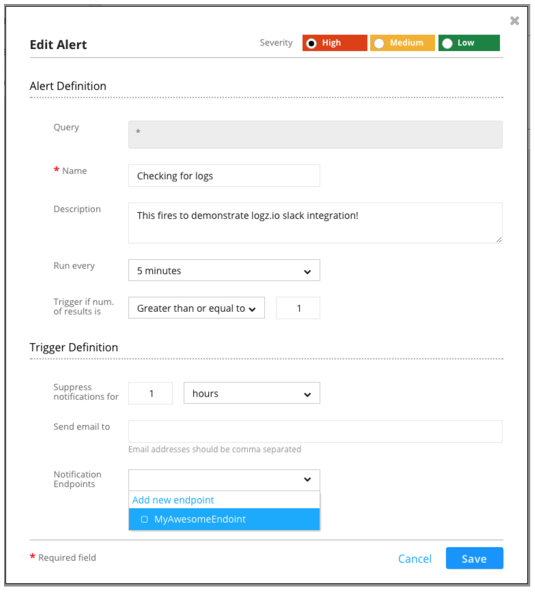 Critical alerts in your environment need to be delivered through a channel where you will actually see them right away. E-mail is always backlogged, and too many people filter alerts into a folder where they often end up sitting for hours, if not days. SMS and text-message alerts are ignored as often as car alarms for the same reason — there are just too many of them. 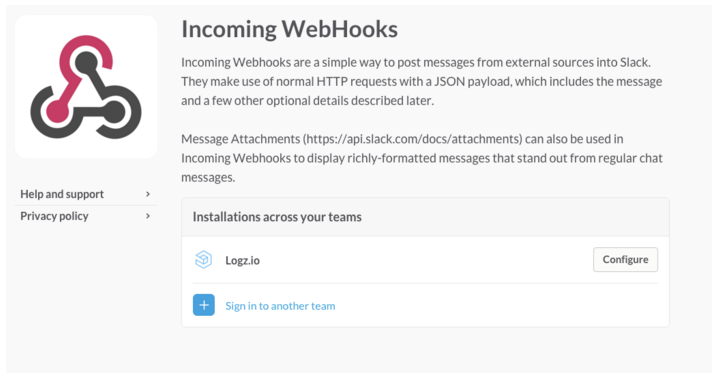 Noting the increasing use of the Slack in the tech world, we are proud to announce the integration of WebHooks into our ELK Stack alerts mechanism. 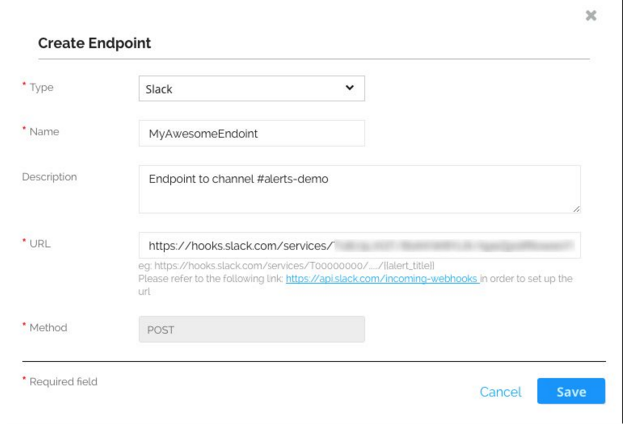 This new feature easily allows customers to integrate our combined Elasticsearch, Logstash, and Kibana platform into Slack or any other third-party application or service that can accept WebHooks. Using Slack to receive alerts makes it easy to get mobile notifications and collaborate as a team around production or support issues. 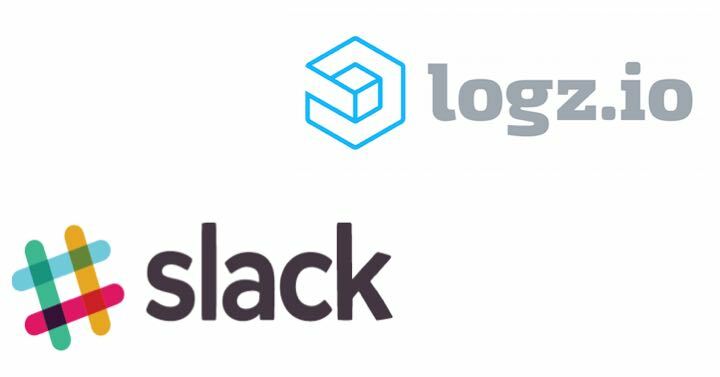 As an example, here is how you would add support for Slack integration to the Logz.io cloud-based ELK Stack as a service. 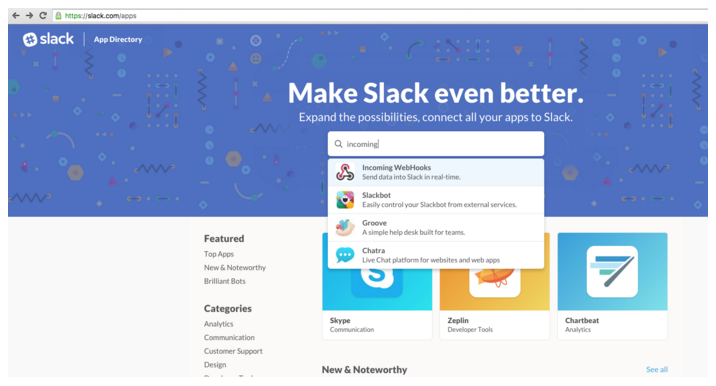 This tutorial assumes you have a Slack account. If not, you can go to slack.com to add one. It’s free (up to a point)! Be proud! 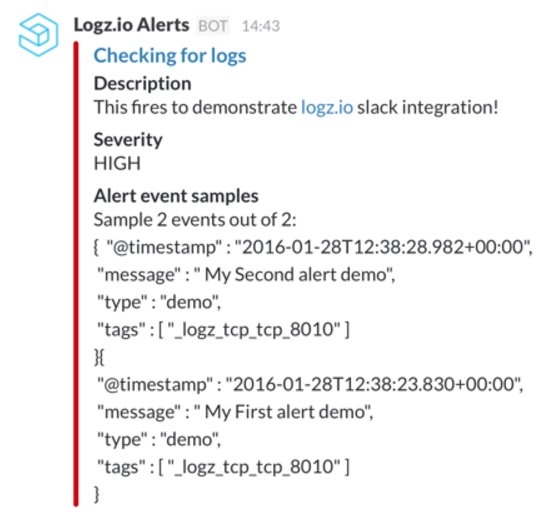 Now, you can see all of your Logz.io ELK Stack alerts directly in your Slack feed along with your team messages and any other third-party integrations that you have created. 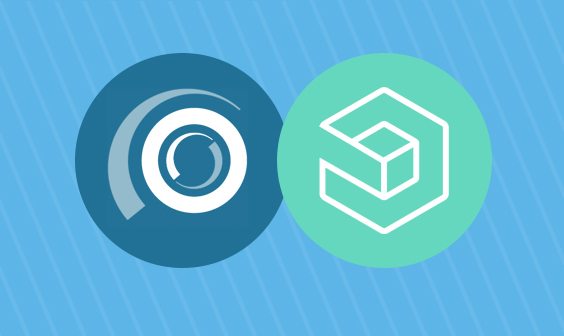 Kibana was born as a humble diagnostic tool and has become the world’s most popular data visualization platform among DevOps engineers, site reliability engineers, and developers. How do they use it? A Kibana dashboard contains numerous charts that each separately show the activity of an individual part of one’s environment. Any spike or trough in any visualization represents activity that needs to be checked. 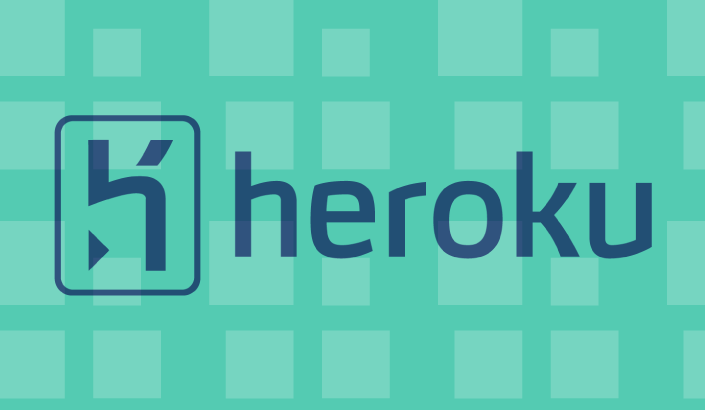 In the past, the Kibana part of the open-source ELK Stack did not contain an alerting mechanism. We added one, and we have now integrated WebHooks and Slack as well — making Kibana the unparalleled visualization platform in the world. 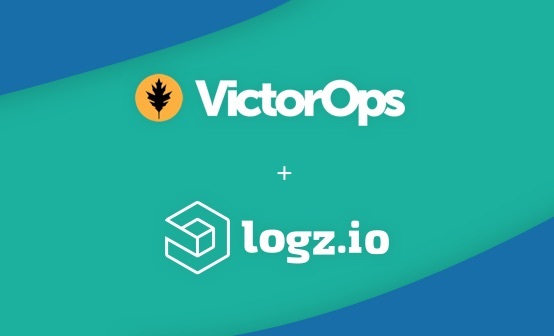 Want to learn more about using the Logz.io ELK as a service platform with Slack and WebHooks integration?